Mixed Feelings Dazed Thoughts: Planetiquettes anyone? If the answer to all the questions asked above is a definite NO then why do we run and scramble and push and shove our way through the journeys? As it is, the Indian response to the word QUEUE is not genial enough and to make matters worse, we have multiplied that response by a standard multiple of indifference and unjustified haste. The Reliance Net-connect Ad takes a dig on this very tendency. It is one thing to be smart and efficient in whatever one does and one understands that the open market era has completely transformed the pre-liberalization connotations of smartness and efficiency even in the popular mindset. But does it necessarily imply a near complete absence of kindness and consideration for the fellow passengers? While I firmly believe in gender equality, the elderly ladies and mothers with kids definitely deserve some extra time and space around them. Repeatedly during domestic flights one witnesses cellphones ringing during landing and take off despite the umpteen requests and reminders from the crew members. If there were such important calls to attend, then why board the plane in the first place?! And once one has boarded, there seems no necessity to introduce oneself by loudly shouting over the phone. 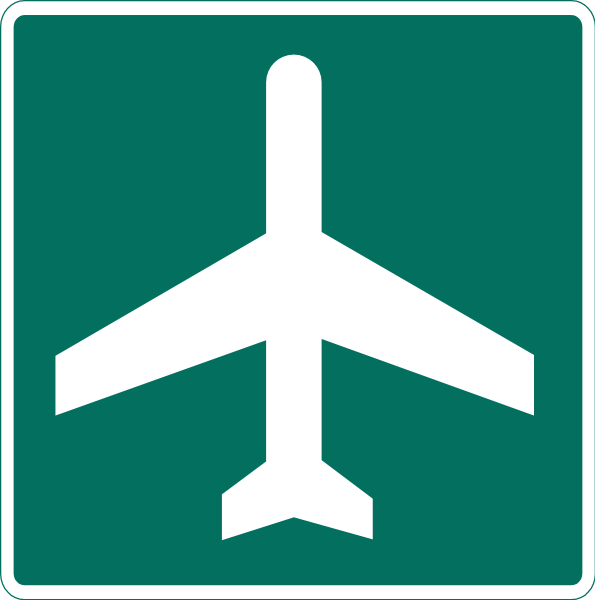 It is human and understandable that soaring in the skies gives a feeling of high and for the ambitious young men it is a realization of their long cherished dream to become a frequent flyer business tycoon but no matter how important one might be, if one is inside the plane the matters outside need to be put on hold. A crippling limitation as it might sound but given the current level of technological advancement it can not be helped. Also learnt during the recent flight home, that the disposal paper bag provided for mid-air motion sickness has found new usage of being used as a spitoon for paan/gutka. Imagine the response it would evoke if the fellow passenger was- firstly, a lady; secondly and more importantly, not a paan/gutka addict. To add to the tale, the gentleman didn't consider it even important to discard the same when the crew members collect garbage from every passenger. I instantly wondered- Is there a penalty prescribed for such actions under any law? If it were considered 'public nuisance', which court/ area will have jurisdiction over the same? In college, I once learnt that despite the overwhelming presence of Indian diaspora in the West, it is not considered polite to open tiffin boxes carrying pungent smelling curry items/ pickles in closed spaces like flights, trains or air-conditioned boardrooms. But then the Western democratic traditions have reached the level of maturity where freedoms are perfectly counterbalanced by responsibilities and civic sense. The mad rush for collecting the hand baggage from overhead luggage space even while the plane is taxiing is un-understandable. And so is the tendency to block space around the baggage reclaim conveyor belts by parking luggage trolleys all around. Unwieldy as these trolleys are, many a people get hurt while trying to scuttle past them. And this multi tiered structure also ensures that the people who have collected their baggage are unable to exit that easily because repetitive as it may sound, the passengers behind them are busy chatting on phones. 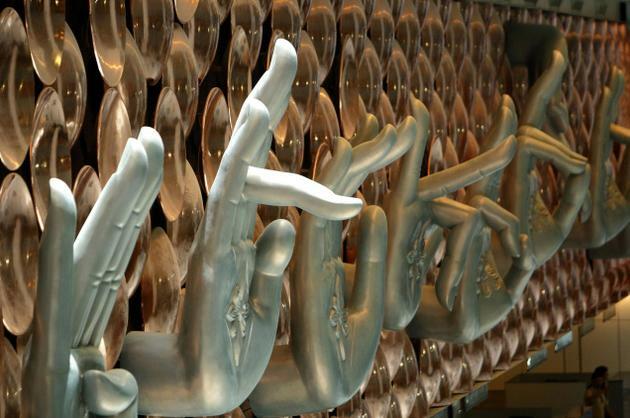 Strikingly, the arrival terminal at the Delhi's new spanking airport (T3) has a Buddhist theme and sports a beautiful ensemble of hands depicting various meditation mudras. Looking at them while one feels a strange calm from within, at the same time one also wishes that the Indian virtues of calm, peace and kindness were not forgotten as completely as the example of in-flight behaviour tends to demonstrate. Left or Right? Which way ahead?